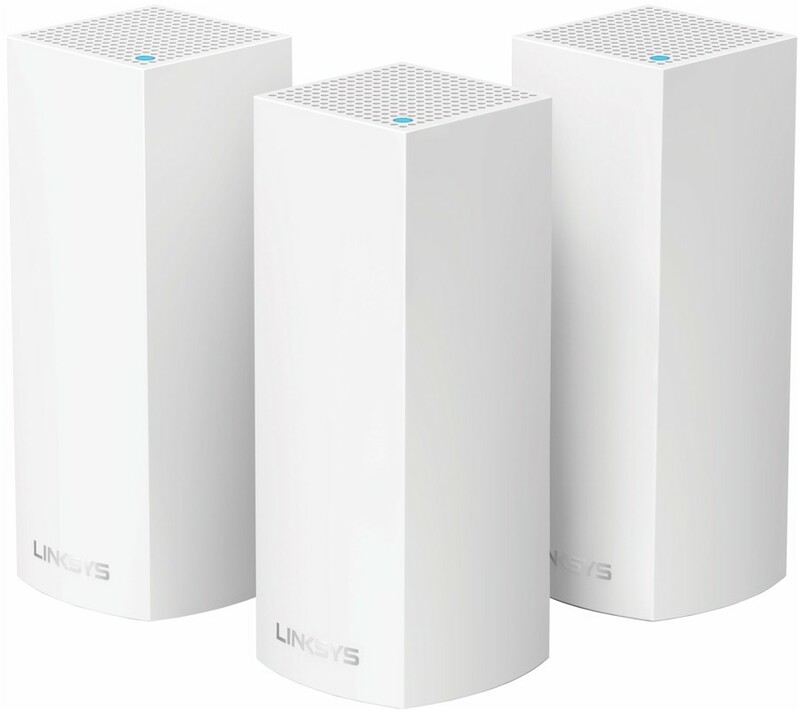 Linksys has joined the mesh Wi-Fi battle. 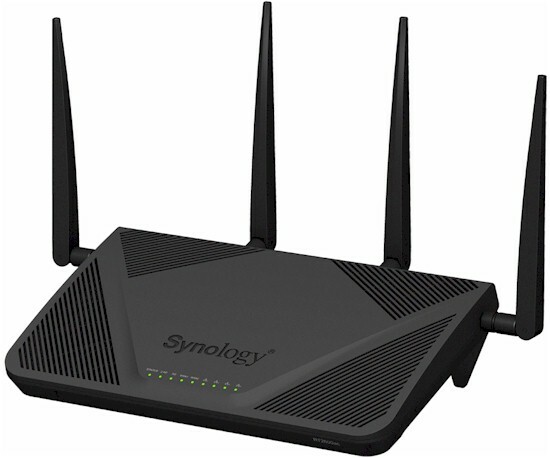 Synology's RT2600ac Router shows the company is serious about pursuing the Wi-Fi router market. 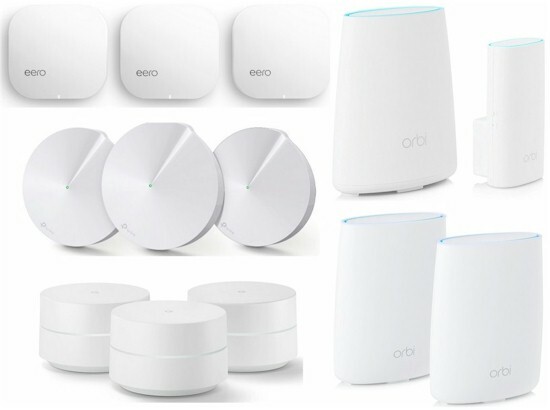 We finally have our new Wi-Fi System test process up and running and ran the latest products from NETGEAR, TP-Link and eero through it. 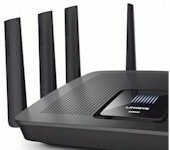 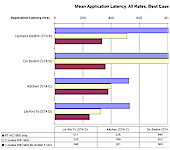 Linksys' EA9500 Max-Stream AC5400 MU-MIMO Gigabit Router provides our first look at how Broadcom MU-MIMO performs. 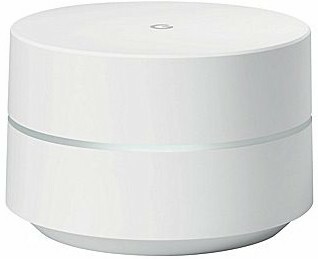 Google Wifi is a more affordable way to see if mesh Wi-Fi is for you. 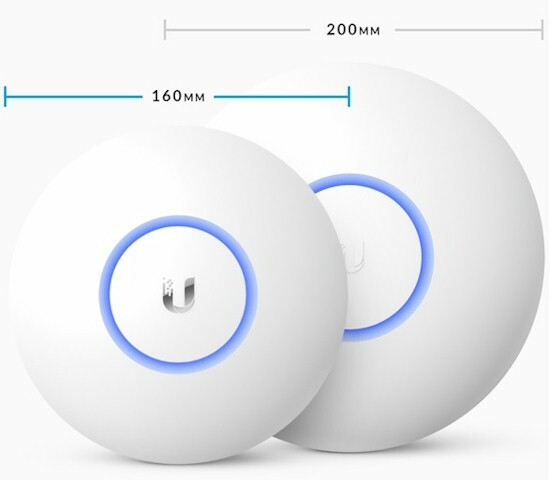 We finally take a look at Ubiquiti's cheap AC access points. 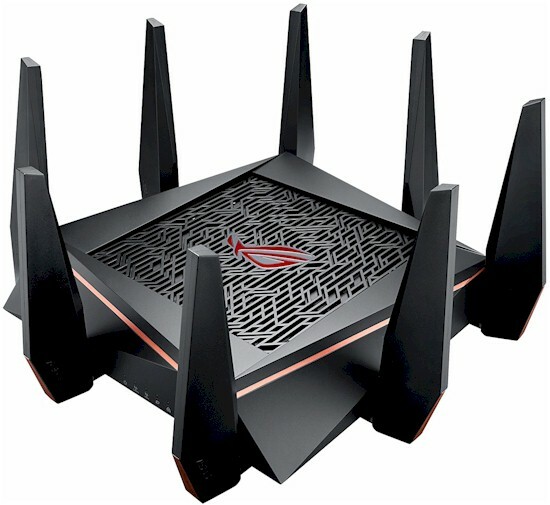 ROG Rapture GT-AC5300 is the first ROG router designed specifically for gaming, featuring tri-band Wi‑Fi, eight-port gigabit-LAN, and its own powerful PC-grade, 1.8GHz quad-core CPU to enable incredibly fast and responsive network gaming. 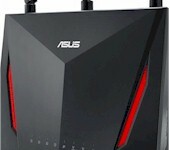 GT-AC5300 also includes two ultra-fast USB 3.0 ports. 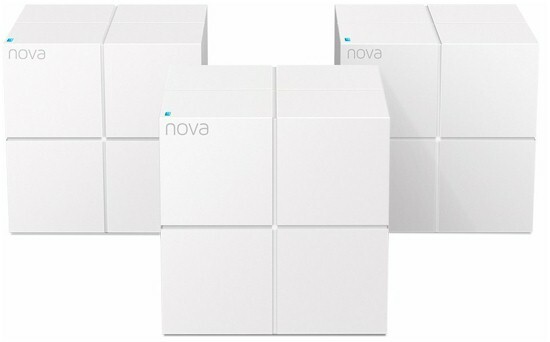 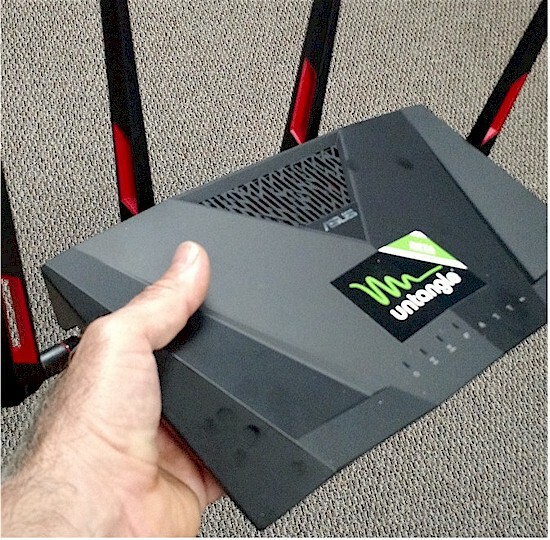 What happens to throughput when you start bouncing signals around a mesh Wi-Fi network? 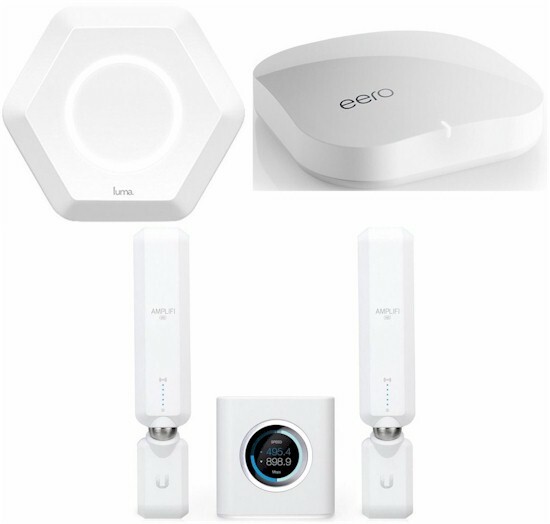 We compared multi-hop performance for eero, Luma, Amplifi and Amplifi HD to find out. 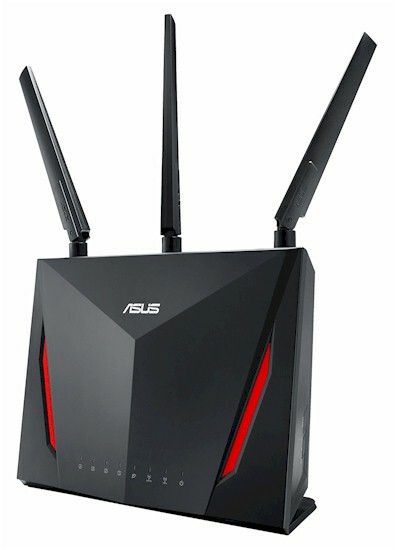 ASUS announced two new 802.11ax routers at Computex 2018 today and said shipments will begin in Q3 this year. 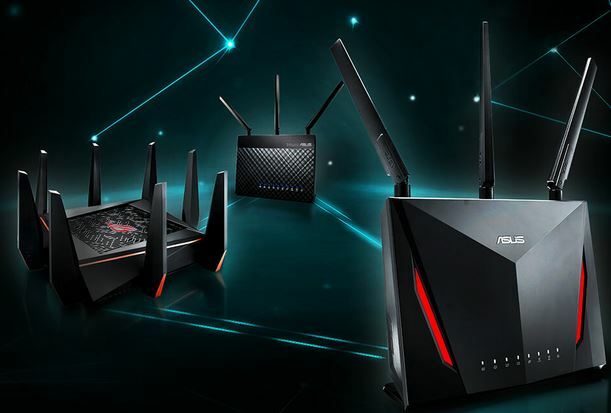 At the top end is the ROG Rapture GT-AX11000, the "world's first" tri-band 802.11ax router. 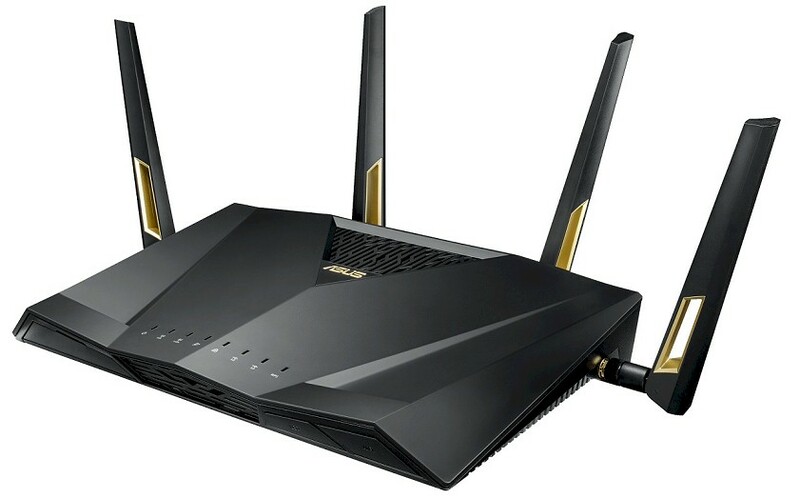 The 11,000 comes from--you guessed it--the sum of top link rates of 1148 Mbps on 2.4 GHz and 4804 Mbps on the separate 5 GHz low and high band radios. 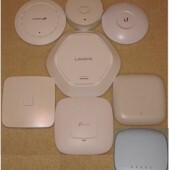 Continuing the fine Wi-Fi marketing tradition of link-rate inflation, the 4804 Mbps link rate specified for the 5 GHz radios comes not from 8 streams, but from using 160 MHz bandwidth with four streams. 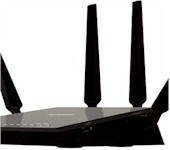 The 2.4 GHz radio also supports four streams, with its link rate is specified using 40 MHz bandwidth. 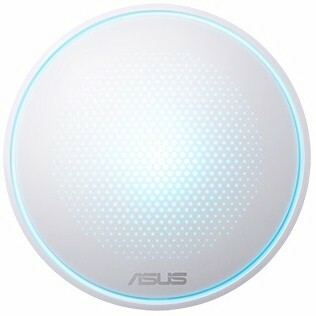 ASUS today quietly rolled out its AiMesh feature that has been in beta since last August. 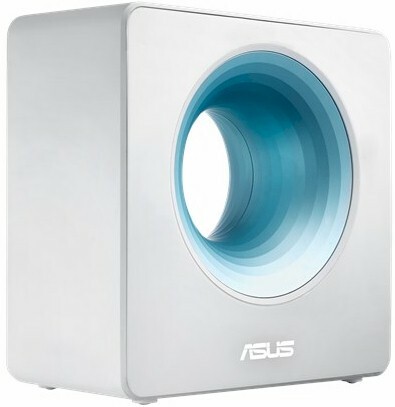 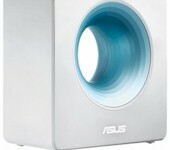 AiMesh is a free firmware upgrade for select ASUS routers that adds the ability to form multi-node networks. 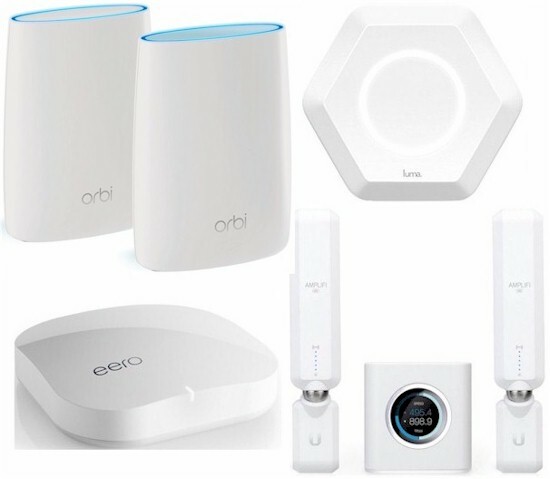 So you can start with an existing AC class router and add other copies of that router, or any other AiMesh-enabled router to your mesh.